To say that high-quality video content is important these days is something of an understatement – particularly when it comes to the Internet. Regardless of who you are or what you’re trying to accomplish, video is essentially the only way to go. 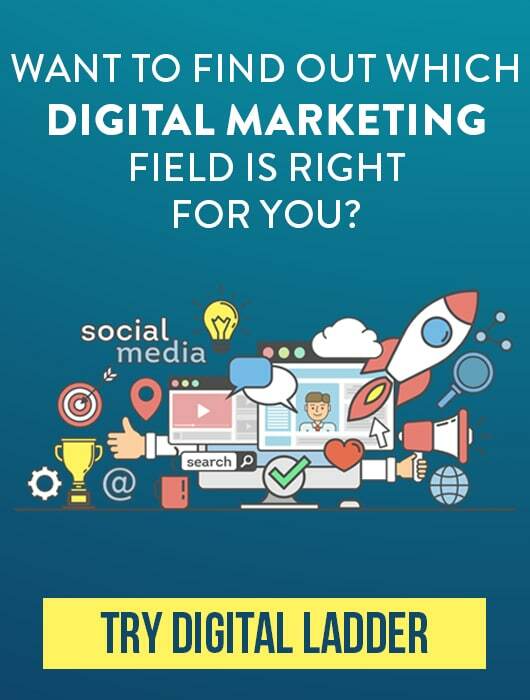 Do you want to increase your social media presence? Consider the fact that 82% of Twitter users say they actively watch and enjoy video content in their feeds. Additionally, we’ve reached the point where more than 500 million hours of video are watched collectively on YouTube all day, every day. But in an era where one-third of all online activity is spent watching the video, it’s clear that just ANY video won’t do. You need a high-quality video to stand out in a crowd – which means that not only do you need the right cameras, but you need the right lenses to perfectly capture every moment in the stunning detail that you – and your audience – deserves. But at the same time, it’s also important to understand that no two cameras – nor their lenses – are created equally. The equipment selections that you make should always be dictated in large part by what it is that you’re trying to do. If you were shooting something smaller, more intimate and more controlled like an interview, for example, you would naturally need different lenses than you would if you were trying to capture every second of a live sporting event as accurately as possible. Only by understanding as much as you can about your options, along with understanding which lenses are ideal for which scenarios, will you be able to have the right tool by your side for the right job at exactly the right time. Four Thirds vs. Full Frame: What’s the Difference? Along those lines, one of the most important topics for you to concern yourself with when it comes to videography is focal length – which is described as the distance between the center of a camera lens and the object that it is currently focusing on. 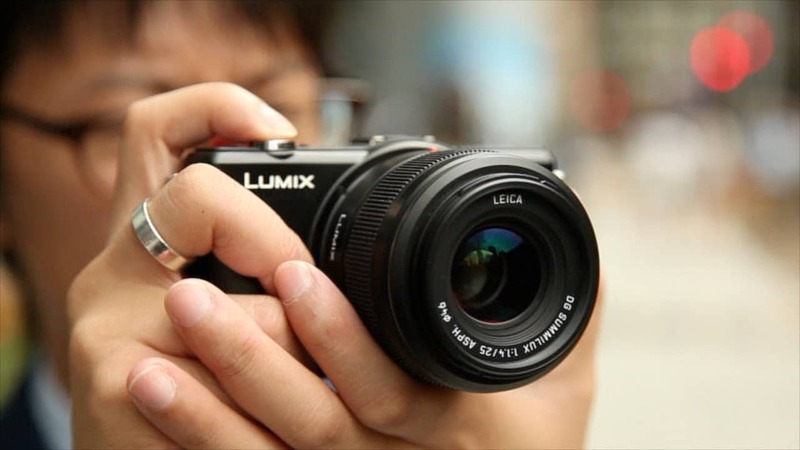 The lenses mentioned in the following list of the best Panasonic LUMIX lenses for video work on cameras using the Micro Four Thirds system (also commonly referred to as MFT or M4/3), which is a standard developed by Pansonic and Olympus in 2008. Because these cameras feature A) a mirrorless design, and B) support interchangeable lenses, both the camera body and the lenses themselves are significantly smaller than they otherwise would be. But the key thing to understand is that the Micro Four Thirds sensor format has a crop factor of 2.0 when compared to a traditional 35mm film camera. This means that both the field of view AND the focal length are essentially half of what they would be on a “full frame” camera. So a 50mm MFT lens would essentially be equal to a 100mm lens on a 35mm film camera. Always keep this in mind when picking the right products and lenses for the specific job that you have in front of you. You’ll also want to consider a variety of extra features that you may need, like weather sealing. Weather sealing helps to protect the internal parts and components of a camera from potential issues like moisture, dust, and humidity. It does this by way of not only initial design considerations but also through rubber sealing with silicon rings, gaskets, and other attributes. If you’re going to be doing a lot of shooting outdoors (or you’re traveling to a particularly warm climate), weather sealing would definitely be something to look for in terms of protecting your equipment alone. Note that the degree to which something is weather sealed can not only vary based on manufacturer but also based on models within a particular camera line from manufacturers. Additional protective features like shock protection and absorption, sensor dust resistance, specially designed shielding against electromagnetic interference and other options are also well worth considering, as they all go a long way towards protecting what is perhaps the most important investment of all: your equipment. First up we have prime lenses or lenses with a fixed focal length. 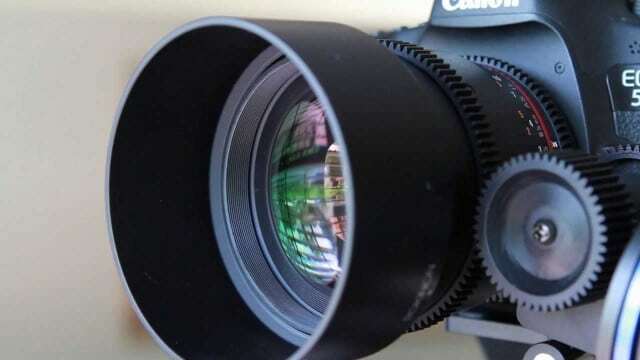 They’re known for both their convenience and their versatility – which are two of the qualities that make the lenses on this list of those that are perfect for general video shoots tough to beat. If you’re looking for a solid, all-around high-performance lens for your Pansonic LUMIX camera, you’d be hard-pressed to find one better than the LUMIX G Leica DG Summilux. Coming in at 15mm wide and featuring an external aperture ring and a wide, bring F1.7 aperture, it’s compact and light but still features the type of rock-solid build that you can depend on. This is the perfect type of lens for situations that you can’t control – whether you’re shooting indoors in intimate spaces or in bright, outdoor areas where your environment is constantly changing, this is the perfect option to make sure that your bases are covered. It handles fast action incredibly well and even performs perfectly acceptable in low lighting conditions. It may not do quite as well in that particular scenario as other items on this list, but for situations where you need to be ready for the unexpected, this lens will dutifully stand by your side every step of the way. 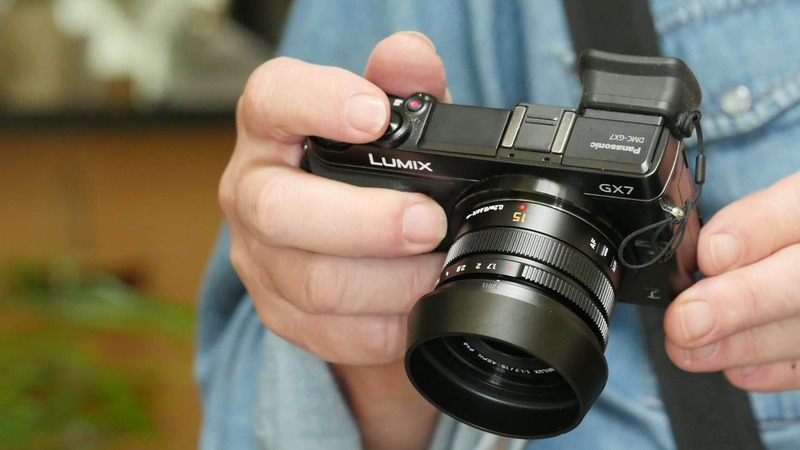 Along the same lines, we have the Panasonic LUMIX G II, featuring a 20mm focal length (which again is equivalent to 40mm on a full frame, 35mm film camera) that is composed of seven different lenses in five strategically aligned groups. With a maximum magnification of approximately 0.13x/0.25x, you’ll quickly find that the difference between this and the 35mm film camera you’re still holding onto isn’t really much of a difference at all. This is another one of those great, all-purpose options to keep at the ready for when you know you need to shoot video but you aren’t sure exactly what type of conditions you’re going to be dealing with. It produces the type of sharp, full images that are perfect for everything from capturing a sporting event to shooting B-roll for a larger production. It also produces excellent low light shots, making it ideal for something like wedding videography. Last but not least we have the 25mm 1.4 G Leica, featuring ultra bright 25 mm F1.4 – F16 Leica optics, a 46mm filter size and even nano surface coating to protect against dust, dirt and other potential distractions. 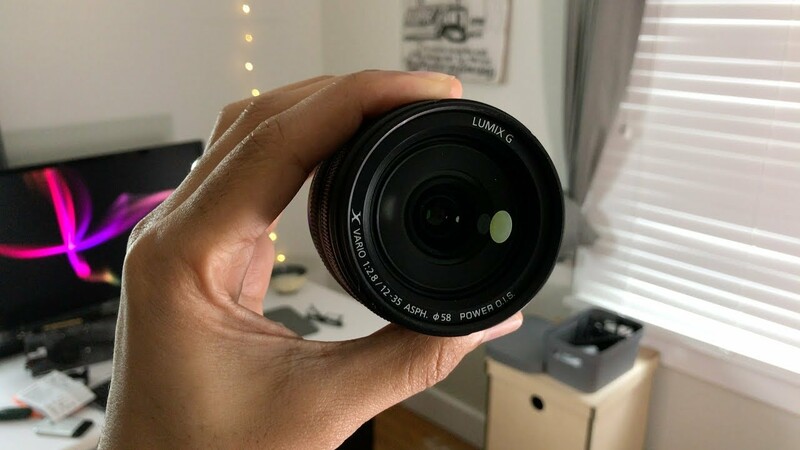 This is the type of lens that focuses incredibly well in dim light, making it perfect for nighttime or indoor videography in particular. It’s a particularly helpful lens to keep around if you like to shoot at night (or at sunset) but don’t have any external lighting equipment to carry with you. Again – it’s not going to be able to replicate professional lighting, and there are other items on this list that would perform better for fully controlled shoots, but for those situations where the sun is unexpectedly setting and you need to be able to keep shooting, you’ll be able to do so with the 25mm 1.4 G Leica. If you had to make a list of all the things that are notable about wide-angle lenses, “presence” would undoubtedly be right at the top. Which is why vloggers love using this lens. Whether you’re trying to capture a very large scene with a type of “fly on the wall” perspective or want to create a sense of intimacy from a small scene in a very confined space, a wide-angle lens is a great way to do all of this and more – making it the perfect option for Vlogging in particular. 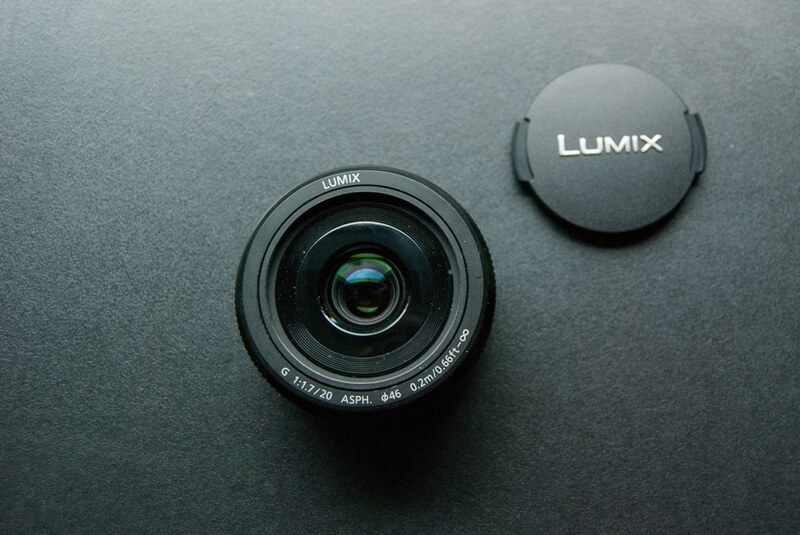 All of these are also among the qualities that make the Panasonic LUMIX G Vario Lens so notable. With a 7-14mm focal length, 0.25m/9.84″ minimum focus and an F4.0 constant maximum aperture and F22 minimum aperture, this is the perfect option to keep with you regardless of where life happens to take you. The major selling point of this particular lens is its massive 114-degree angle of view. If you’re the type of Vlogger that likes to get outdoors and really enjoy new cities or locations, this lens can help your viewers feel like they’re right in the thick of it with you. The lens itself is also designed to guarantee maximum performance even under incredibly strong lighting conditions – another one of the many reasons why this is the perfect option for travel Vloggers in particular. 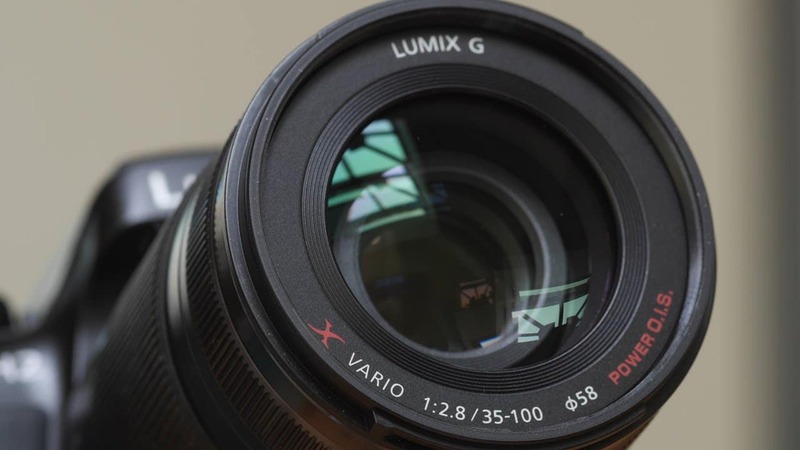 Another impressive entry on this list is the Pansonic LUMIX G X Vario II 12-35 F2.8 lens, built for professionals, by professionals. In addition to offering a 3x optical zoom with an F2.0 constant aperture, the lens itself also holds up where it counts: durability. It’s not only splash proof and dust proof but freezeproof as well – making it ideal for Vloggers who tend to spend as little time in a studio as possible. But the real benefit that this particular lens brings to the table has less to do when you’re trying to capture the action and more to do with when you’re right in the middle of it yourself. The built-in optical image stabilization makes sure that all videos (and photos) will look great, offering sharp and blur-free contours across the entire image. It can even compensate for very large camera shakes and other vibrations that may occur (like if you take your camera snowboarding with you, for example). Whenever you’re sitting down to shoot a video interview, there are a few key features that you’ll want to look for in a lens. Any option that you consider must have quality image stabilization and zoom capabilities, as so much of your camera and framing decisions will be dictated by the shape the interview takes. Is your subject getting emotional? You’re going to want to be able to get as close as possible without losing image quality. Are you interviewing multiple subjects? You’ll need a wider frame to support that composition. But even in interviews, conditions can change rapidly. 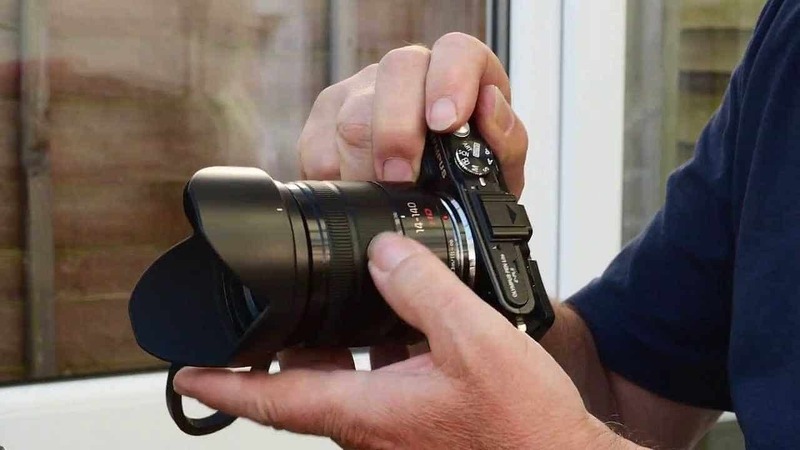 You may have to make sudden significant directorial changes within the span of a couple of seconds… which is part of what makes the Olympus M.ZUIKO Digital ED 45mm F1.8 Lens so exceptional for that purpose. This particular lens is designed to excel in low lighting conditions, which essentially describes any interview you’ll ever conduct that isn’t taking place outdoors. It’s capable of offering both an outstanding level of detail and a shallow depth of field, allowing you to keep the focus on your subject where it belongs – regardless of how they may happen to move in the spur of the moment. It’s also movie-still compatible (MSC) which offers fast, nearly silent focusing and aperture performance – perfect for making those adjustments without getting in the way of the intimacy you’re trying to capture in the first place. A blurred background is actually a very specific directorial choice that is a lot harder to pull off than you might think it is. YouTube “how to” and other technical videos typically use this technique, for example, so that they can direct the focus of the viewer directly onto the subject where it belongs to eliminate distractions. But without the right lens, a “beautifully blurred” background becomes a “dark, muddy” background before you know it – thus putting you farther away from your goal, not closer to it. But that’s the type of issue that you don’t have to worry about with the Panasonic LUMIX G Lens, an option that offers both a great focal range and exceptional low light performance in one convenient package. In addition to an F1.7 large diameter and mid-telephoto 85mm focal length, it offers a close focusing distance of just 31cm and a power optical image stabilizer/240 fps (frames per second) drive AF on top of it all. That last point is perhaps the one that matters most of all, as both the camera and the lens sync up at 240 frames to take full advantage of your LUMIX camera’s high-speed AF system. This allows both the drive system and the stepping motor to perform smoothly and silently during all video recording, allowing you to capture all of the stunning detail you need without the need to worry about audio replacement later on. If you’re shooting in an environment where you need, clear, detailed and expressive images and want that beautiful bokeh background at the same time, this is absolutely the lens for you. 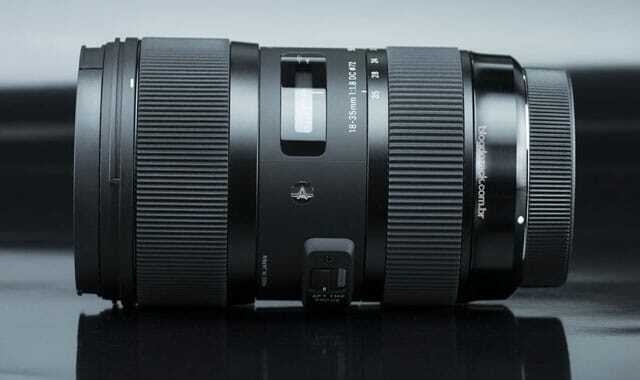 Equally impressive, however, is the Sigma 18-35mm F1.8 Art DC HSM Lens. This lens also offers a tremendous level of flexibility, making it perfect for everything from landscape shots to casual videos to close-ups and more – all with that same blurry background that your viewers can’t get enough of. The internal focusing and zooming gives you room for more usability and functionality than a traditional prime lens and it also performs very, very well in low light environments. This would be the perfect type of lens to have in your bag for situations where you needed to demonstrate something in a close, confined space – like if you were showing your viewers how to tear down a particular piece of electronics equipment or build a new computer. It’s every bit as sharp as a traditional prime lens but wide enough to give you enough room to improvise, all while maintaining that bokeh “blurry background” effect that is so important. It’s essential to note, however, that you’re definitely going to want to use this with the Metabones Speed Booster Adapter because this particular lens is for canon mount cameras. The Speed Booster increases the maximum aperture, increases the MTF and makes the lens wider – all guaranteeing the control you need for any situation. Have you ever wondered what makes a television show look like a television show, while a movie looks like… well, a feature film? Even though they’re both (commonly) shot using digital cameras, films tend to look “bigger,” “fuller” and “more grand” due, in part, to the specific types of lenses they use. Film is richer and warmer, while video (especially in the early days) tended to be brighter and a little smoother – a bit like “the soap opera effect” that is commonly found on a lot of consumer grade HDTVs. If you want to unlock that “epic” look to the footage you’re shooting, you need the right kind of lens – and there are truly few better options for that than the Rokinon 12mm T2.2 Cine Lens for Micro Four Thirds Mounts. With the aforementioned T2.2 maximum aperture, it does particularly well in low lighting conditions and can allow you to control even the shallowest depth of field for precise subject focus at all times. It’s also great for those eye-pleasing, out of focus backgrounds that film as a format does so well. Simply put, it’s a lens designed first and foremost for shooting HD video – which means it also has a number of additional features that help separate it from traditional “photo lenses,” like the focus rings that allow you to use a focus pull apparatus like a follow focus system. Whether you’re shooting a narrative short of a feature film, are entering into the world of commercials or just want to create visually distinct videos that separate you from your own competition, this is the lens that can help make it happen. Note that the Rokinon 16mm T2.2 Cine Lens is also available, which is also compatible with all Micro Four Thirds Interchangeable lens cameras and features aperture range of T2.2-T22. This is a great alternative to the lens listed above for situations where you need the widest angle videos possible, as this has been specifically constructed to act as a wide angle lens. Also of note is the Rokinon Cine CV85M-MFT 85mm T1.5, which features the same exceptional overall quality as the Rokinon 85mm F1.4 lens. The aperture range here is between T1.5 and T22, which certainly gives you a lot of flexibility in terms of the ultimate shape that your project takes. 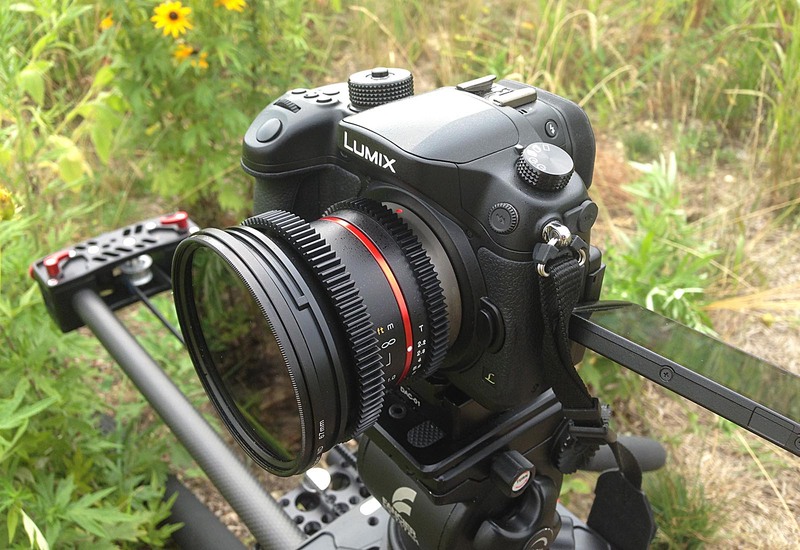 As a Cine lens, this unit is also specifically built to meet the needs of a professional cinema production. Between the heavy and rugged construction and the ability to effortlessly record continuous motion without skipping a beat, this is certainly a worthy purchase for videographers and cinematographers everywhere. As was true with the lens listed above, this particular model is follow focus compatible – which means that you can focus and use the aperture ring in any way that you’d like, all without interrupting your video shooting at any point. It also features a specially designed de-clicked aperture to help reduce noise and jerking motions – particularly helpful in situations like tracking shots or in any situation where you’re pulling your camera off of your tripod. One thing to be aware of, however, is that this lens is not zoomable. So depending on the type of project that you’re trying to film, you’re likely only going to want to use this for very specific types of shots or in certain situations where such functionality is not necessary. Certain situations that you may find yourself in will call for the use of a telephoto lens, which is one notable for its very long focal length that also brings to the table a very narrow field of view. This essentially has two key benefits in videography, both of which are present almost immediately. First, a telephoto lens is a great way to isolate your subject – regardless of how large your frame may be or how far away your subject is, you can immediately command someone’s eye and get them to look precisely where you want to. Secondly, telephoto lenses are also a great way to make things feel like they’re closer together than they really are. If you were to shoot one subject fairly close to your camera and other a large distance away, the space between them would make them appear to be much closer on video than they are in reality. 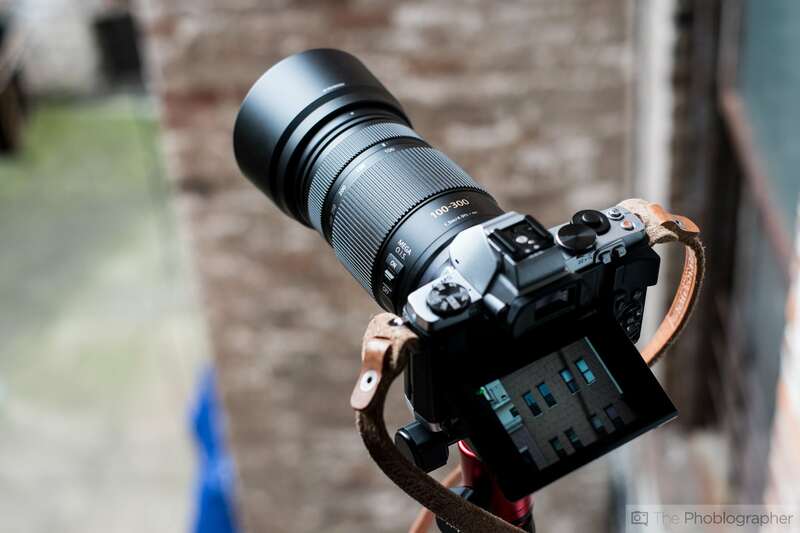 All of this is to say that when you do encounter a situation that calls for the use of a telephoto lens, the Panasonic Lumix LUMIX G X VARIO 35-100mm is absolutely one of the best that money can buy. This telephoto zoom lens features F2.8 brightness across the ENTIRE zoom range, so you don’t have to worry about how sudden zooms alter the look and feel of a shot. 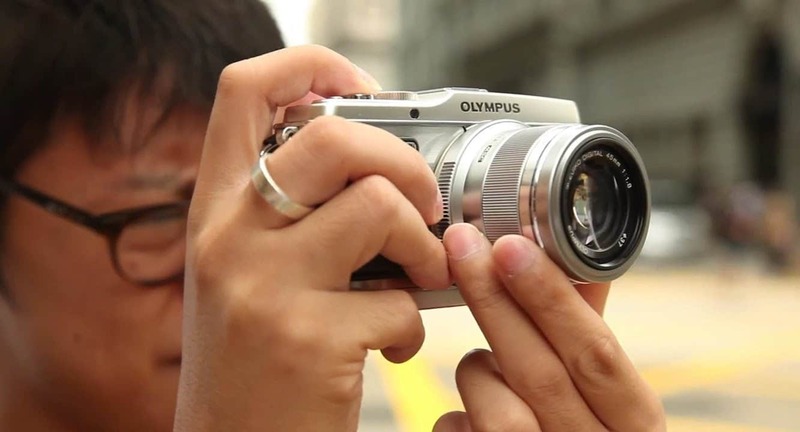 It’s also notable for featuring autofocus in video recording as well as in terms of still images, perfect for capturing fast-paced action without worrying about someone suddenly moving too close or too far away from the camera. This is the type of lens that would be perfect for capturing a live sporting event, for example – but with a slightly different perspective than others. You could easily make a spectator in the stands and a player feel much closer together than they really are, juxtaposing the excitement of the people watching with the energy of those actually on the field. 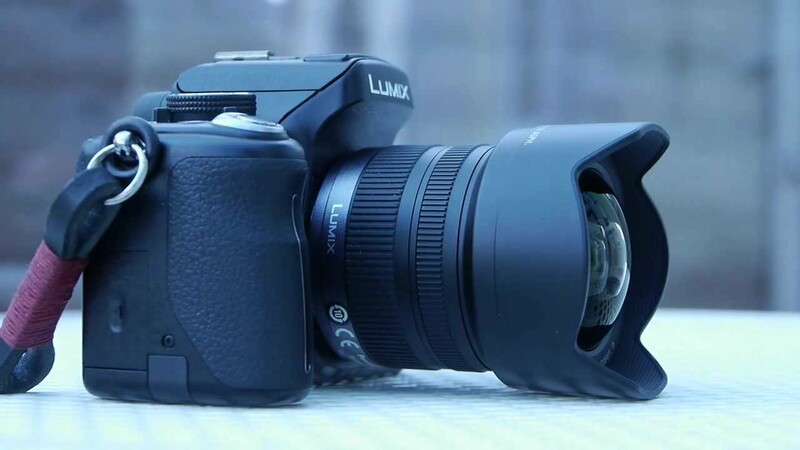 Another viable option is the Panasonic Lumix G Vario 14-140mm f/3.5-5.6 Lens, which features a 10x optical zoom, a power optical image stabilizer and an overwhelmingly fast and precise auto focus capability. As is true with the other telephoto lenses on this list, this would be a particularly helpful tool to use in terms of something like wildlife videography. With this type of telephoto lens on your camera, you can take stunningly detailed recordings of animals that look like they’re only a few feet away – even if they’re much farther in real life. This means that you get the incredible, once-in-a-lifetime video footage that you and your audience can’t get enough of and you don’t have to worry about startling an animal at the same time. Last but not least we have the Panasonic 100-300mm f/4-5.6 II – which is actually notable because it was designed to replace a previous model that the company put out, the H-FS100300. 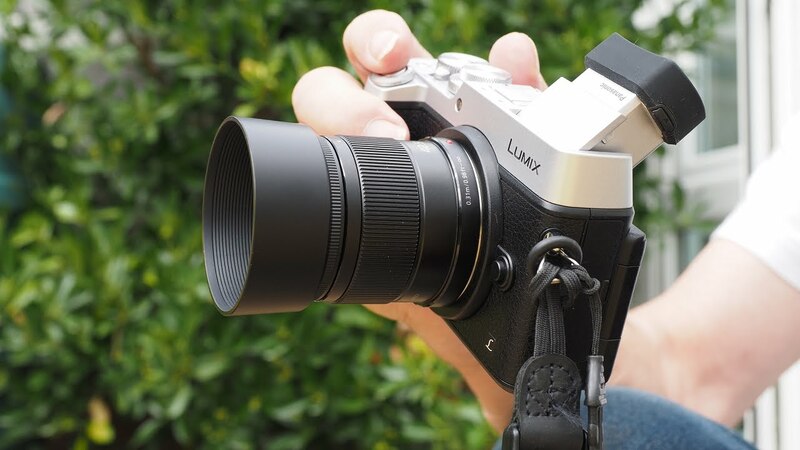 This particular unit offers incredibly fast and fluid focus tracking via a 240 fps linear motor, offers an incredibly close focusing distance of 4.92 feet and even comes complete with Panasonic’s own power optical image stabilization system for your LUMIX camera. In terms of what this has to offer that its predecessor didn’t, the Panasonic 100-300mm f/4-5.6 II has been upgraded to offer both splash proof and dust proof protection – making it ideal for any outdoor videography sessions that you may have on your calendar. If you lived near a beach, for example, this would absolutely be a great way to capture footage of surfers on the high seas. They’d look like they were only a few feet away even though you’re safe on the shore the whole time. An excellent telephoto lens like this one would also be a great way to take stunning time lapse videography of the moon, for example. Last but not least we arrive at the fisheye lens – one of the most commonly misunderstood types of video lenses more often than not. When used as intended, a fisheye lens is actually a great way to both guarantee a field of vision up to 180 degrees and maintain a scale that is reduced to warp the edges. Essentially, this is the perfect way to create a unique type of distortion that is perfect for panoramic photography in particular. In terms of video, the fisheye look actually rose to prominence during the 1990s in particular when it could be seen in a wide range of music videos from popular artists. With regards to modern day uses that are a little less dated, it would be a great way to shoot video on a plane to really emphasize the curvature of the Earth or even just to show the massive scope of a major city from high up on a building. 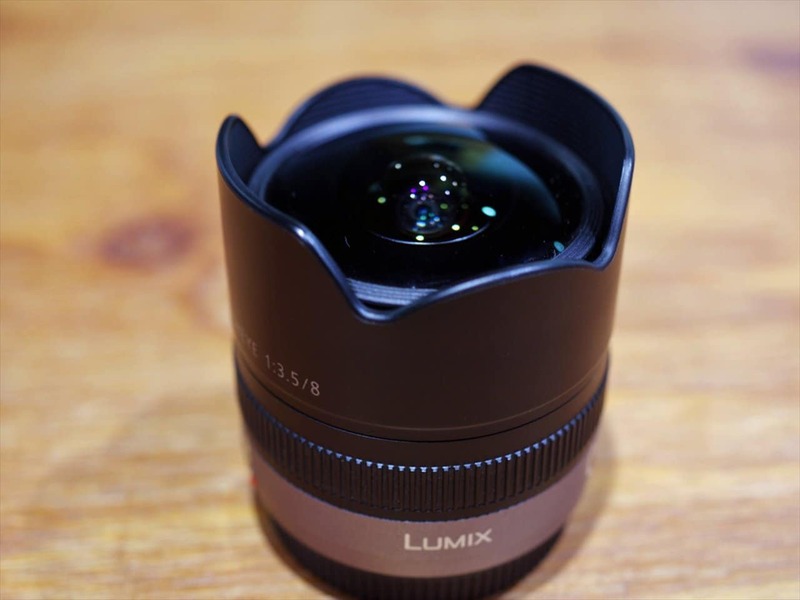 If you are interested in bringing that unique, fisheye look to your own videos, look no farther than the Panasonic LUMIX G Fisheye Lens, 8mm, F3.5. At 8mm (which, remember, is equivalent to 16mm on a full frame camera) it brings the same 180 diagonal angle of view to both photos and movies. It uses a sophisticated series of ten lenses in nine groups that, when paired with the physical properties of the lens itself, allows you to guarantee stable performance for distances as close as a foot and as far away as a hundred meters or more. The unique design of the aperture helps to produce a silky smooth effect in areas of your frame that are out of focus, which is perfect for preserving your intended look even when using larger aperture settings. This is another one of those lenses that is perfect to use when you really want to convey how BIG something is – be it architectural videography or even to emphasize the number of people at an event like a wedding. Equally viable is the Samyang Cine SYCV75MFT 7.5mm, T3.8 Cine Fish Eye Lens – which sports the same 180 degree angle of view as the model above with crystal clear focuses down to just 3.5 inches depending on your preferences. 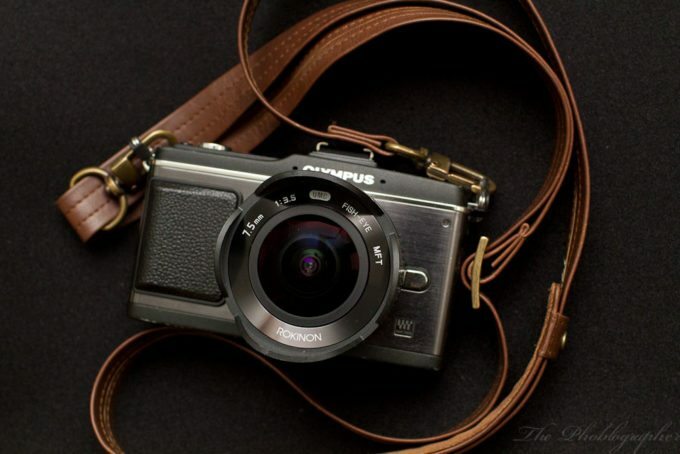 As the name suggests, it offers a 35mm focal length equivalency of 15mm. It offers both a geared and uncoupled aperture and focus ring, giving you complete control over every last element of your shoot without worrying about letting technical matters get in the way of the action unfolding in front of you. Thanks to both the fact that this lens was built with HD video in mind and features like the aspherical glass element and the low dispersion glass element, it’s able to deliver consistently high quality and a uniform contrast all across the frame – even in the corners and even at a full, open aperture. Part of the appeal of a lens like this ultimately comes down to that ultra wide angle and startlingly close focus. If you’re very interested in the geometry factor of videography, using this lens would unlock a world of fascinating shapes and compositions that would likely go unnoticed with another type of lens – further aiding in your ability to capture something truly unique every time you head out on a shoot. This lens is perfect for times where you really want to experiment and distort images in fun and exciting new ways, or for scenarios where such an effect would actually add to what you’re trying to accomplish. If you were on the ground in a major city and pointed a fisheye lens straight up, for example, it would be a great way to really sell the “vertigo” feeling that you get surrounded by so many tall buildings. In the end, it should be clear by now that there is truly no “one size fits all” lens selection that works equally well for every situation. When you’re conducting a video interview, you really need the image stabilization and zoom capabilities that only a lens designed for that purpose will afford. If you’re heading to a new major city and want your viewers to really feel like they’re taking the trip with you, you need the sense of presence and “close-to-the-subject” perspective that only a wide angle lens will offer. This is why it’s always important to consider every project carefully before you start shooting. Think about not only the types of shots you’re trying to compose but also the feeling you’re trying to convey to your audience. Only then will you be able to make sure that you have the right gear at the ready to help you accomplish all of your goals. Having said that, it’s clear that the best Panasonic LUMIX lenses for video production are breaking new grounds in terms of flexibility, ingenuity and overall design. When it comes to exceptional quality images with the level of control that even the harshest environments can sometimes command, you’d be hard-pressed to find a series of purchases more worthy of your hard-earned dollar.